There have been many different versions of ROBOBUSTER in the multiverse; it appeared as the product of a rival corporation, it was a sentient being from a planet of living robots in another. This Robobuster is nothing more than an effective tool built in DIMENSION 68-V by the elderly RAY STANTZ of that world, with help from his assistant, MIKE THE GOLEM. 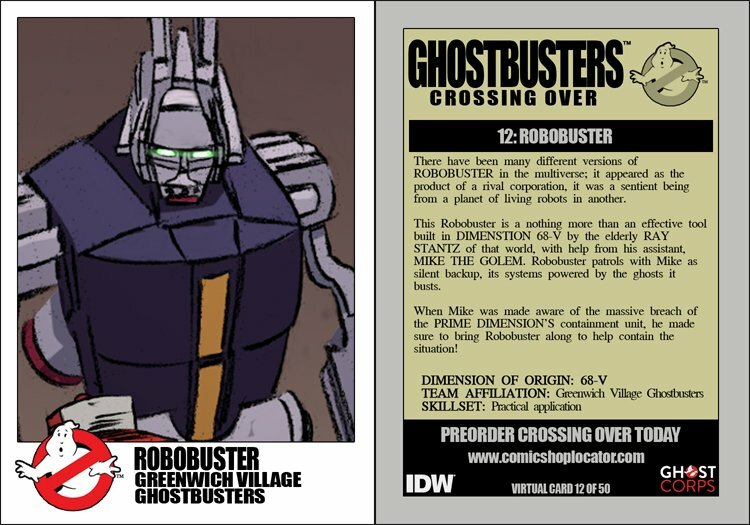 Robobuster patrols with Mike as silent backup, its systems powered by the ghosts it busts. When Mike was made aware of the massive breach of the PRIME DIMENSION's containment unit, he made sure to bring Robobuster along to help contain the situation.